Aubrey Monday: Dysfunctionality FLF, We Love RP & Group Gift Offers! Dysfunctionality FLF, We Love RP & Group Gift Offers! 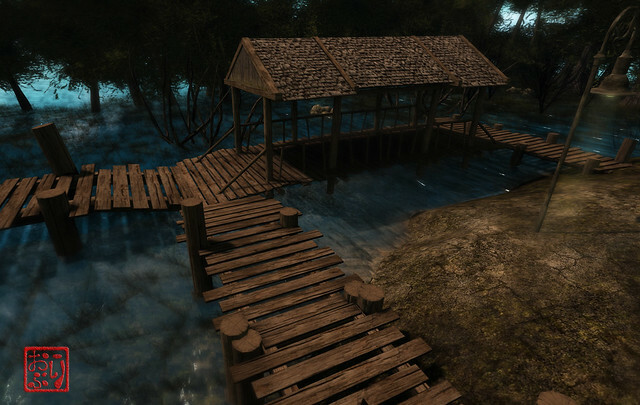 Anke Hatchuk of Dysfunctionality Designs has a number of offerings for you that I'm pretty sure you will be happy about, the Moorside Docks and bridges. This would be a perfect addition for any of you RP sim owners out there. It is also aesthetically pleasing to the eye for non RP sims just trying to create a beautiful landscape in your home. [DDD] Moorside Bridge - Includes a short and long variants, all have norm/spec maps included. 4 LI / 8 LI respectively. Featured @ We Love Role-Play event until Feb 29th.